IRVINE, CA — An affiliate of The EMMES Group of Companies announced that it has acquired Main Plaza in Irvine. 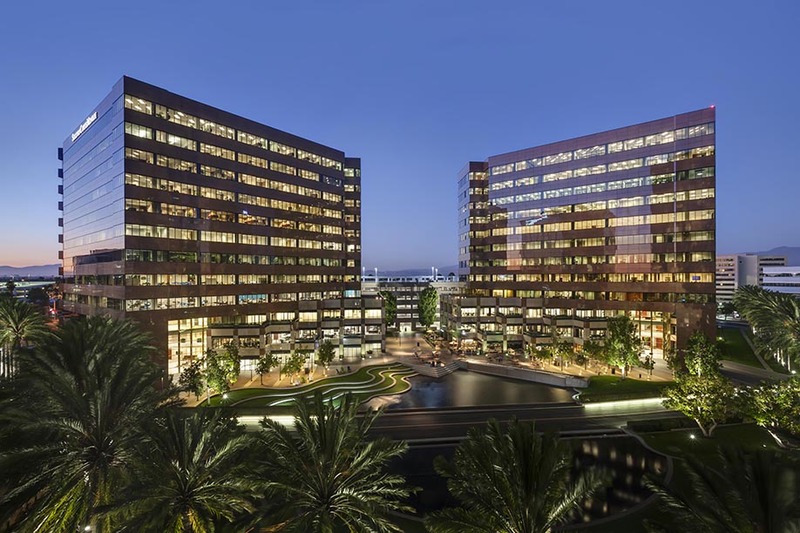 The Class A office development includes two premier office buildings, plus two retail pads with El Torito Grill and McCormick & Schmick’s as tenants, totaling approximately 625,000 square feet. The buildings are located in the Irvine Concourse, a large master-planned business park at the center of Orange County’s premier Airport Area submarket. As part of its repositioning strategy, EMMES has renamed the buildings Centerview — Centerview East and Centerview West — as they are located at the heart of the concourse with spectacular views of the plaza. EMMES plans to make extensive improvements to the property, including modernizing building systems, renovating common areas and adding additional on-site amenities to re-establish Centerview as a premier office location in Orange County. Additional amenities surrounding Centerview include Specialty’s, Peet’s Coffee & Tea, Equinox Fitness, Wyndham Hotel, and an Embassy Suites Hotel. For more information on Centerview, visit www.centerview.com. Article found at Yahoo.com | By Marketwired. Published May 2, 2017 by Yahoo! Finance.